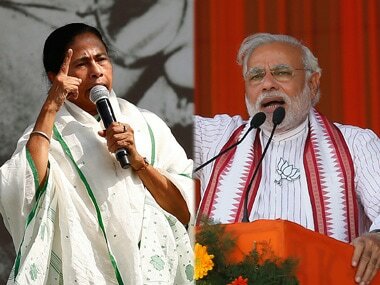 Prime Minister Narendra Modi slammed the Mamata Banerjee government in West Bengal on Monday accusing the chief minister of running a 'murder your opponents' syndicate and ignoring the youth, poor and farmers of the state. 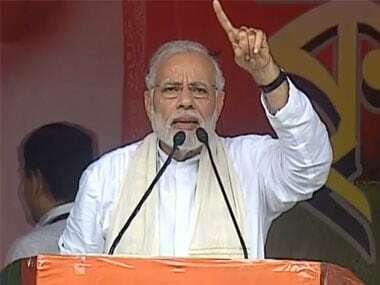 Addressing a rally in West Midnapore on Monday, Modi said, "I can see the state of the Trinamool (Congress) government. We all know how it is. There is no benefit for farmers, development for poor or jobs for the youth. This has become the new identity of the state." Modi also took a dig at the law and order situation in the state. "The real face of 'Ma Mati Manush' is for everyone to see. There is a 'murder your opponents' syndicate operating here," he said. Modi's rally at Midnapore comes just about a fortnight after BJP national president Amit Shah's 29 June public meeting in Purulia district. Calling the West Bengal government a "syndicate", the prime minister said that nothing happens in the state without the due approval of the government. "Nothing can happen in West Bengal without the permission of this syndicate. Even doing puja has become difficult here," Modi said in an apparent reference to Durga Puja idol immersion row in 2017. "The syndicate operating here is just for the sake of the vote bank to stay in power. 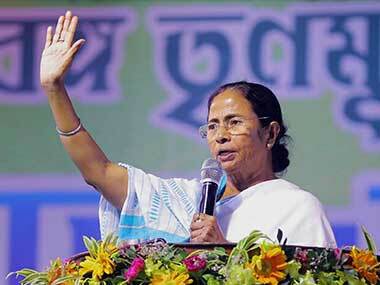 It alienates the rest of the people of West Bengal," he further claimed. "This syndicate is taking away benefits from farmers, killing people who protest, and exploiting the poor. Even getting admission in a college cannot be done without the 'permission' of the syndicate," said Modi. Speaking to farmers, Modi claimed how it was the BJP-led NDA at the Centre that listened to farmers' woes. "My government is your government. Our government took a decision, which will bring a positive difference in farmers' lives. Previous governments were asked to increase the MSP (minimum support price) but they put away those files. Farmers kept agitating but neither the state governments nor the Centre heard them. But after BJP came to power, we raised the MSP to 1.5 times the cost of producing it," he said. Modi said that the decision helped benefitted potato and jute farmers, particularly, in West Bengal. "BJP understands what you need, how your lives can be made easier, and, is always committed to working towards it," he said. The prime minister also said that the government is working towards doubling farmers' income by 2022. "We are working to double farmers' income in fishing, bamboo, bee-keeping, animal husbandry, bamboo, etc," he said, adding that previous governments considered bamboo to be a tree, which prevented farmers from cutting it. "But we said it is grass, allowing farmers to grow, harvest and sell it." Modi also mentioned the recently-concluded panchayat elections in the state, where BJP performed well. "Amid terrorism, panchayat elections took place. I thank people for supporting us. One after another, our Dalit workers were killed, innocents were murdered. Democracy was destroyed. But you didn't lose courage and hope," he said. 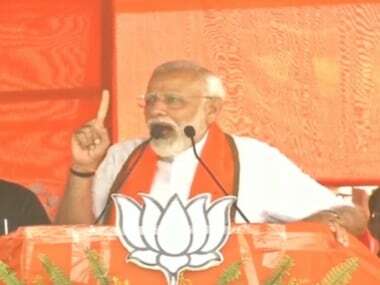 Calling West Bengal a land of patriots and people who sacrificed themselves, Modi said the Trinamool Congress will not be "saved" this time. "They (TMC) don't believe in the Supreme Court, high court, democracy, and even the election process. These people are not going to be saved," he said. 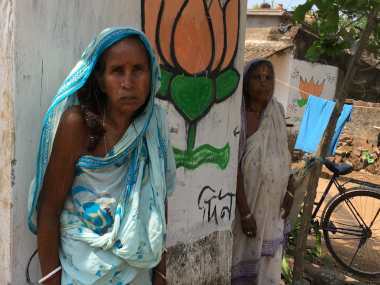 The saffron party has made steady inroads in various districts of West Bengal and has emerged as the main opposition party in the state after the recent panchayat elections and bypolls. It is making all efforts to increase its tally in the next general election from the current two MPs. According to state BJP sources, the party is putting special emphasis on the tribal Jungalmahal area where the party won sizeable seats in the last panchayat polls. West Midnapore district is part of the Jangalmahal area.